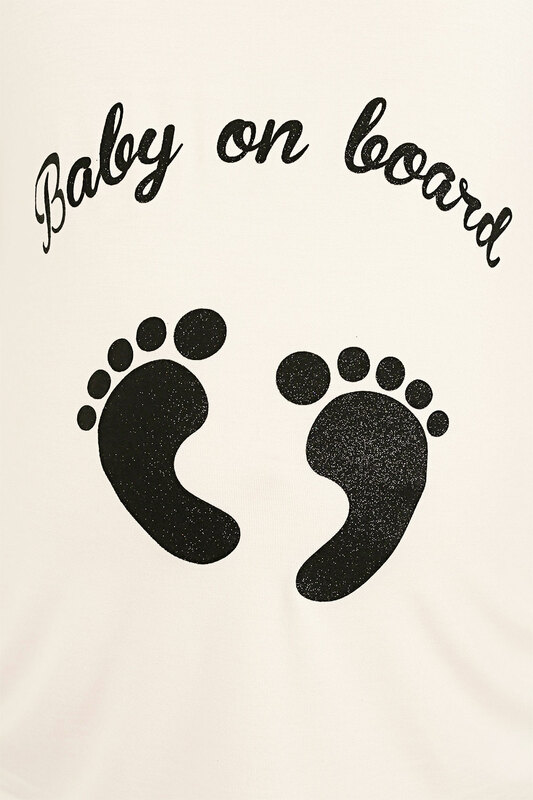 BUMP IT UP MATERNITY Plus size cream short sleeve jersey top with black glitter 'Baby On Board' print to the front. 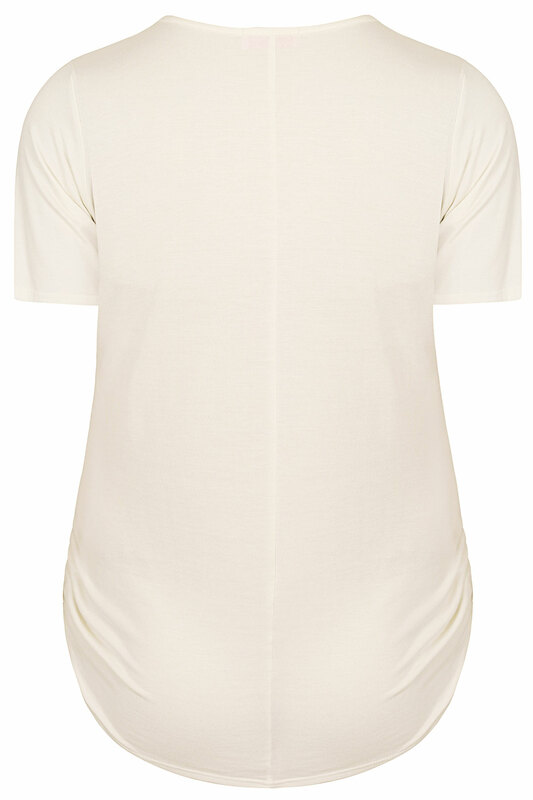 Made from a super soft jersey fabric this top features a scooped neckline and ruched detail to the side. This comfortable easy to wear top would look great with denim for a causal day time look. A must-have piece for every new mum and mum-to-be!